Oceanfront Escape in Eastern Nassau! Property 6: Oceanfront Escape in Eastern Nassau! Spacious And Charming. Safe, Quiet, Convenient Location. Property 13: Spacious And Charming. Safe, Quiet, Convenient Location. SUMMER SPECIAL!! OCEANFRONT VILLA WITH INFINITY POOL & BEST SNORKELING! Property 15: SUMMER SPECIAL!! OCEANFRONT VILLA WITH INFINITY POOL & BEST SNORKELING! Charming ocean-front beach villa w/ private pool plus SPECTACULAR VIEW!! Property 16: Charming ocean-front beach villa w/ private pool plus SPECTACULAR VIEW!! Immaculate House in Paradise!! CAR INCLUDED! Chef and tour packages available! Property 20: Immaculate House in Paradise!! CAR INCLUDED! Chef and tour packages available! 2 Bedroom Spacious Apt. with private backyard and walking distance to the beach. Property 22: 2 Bedroom Spacious Apt. with private backyard and walking distance to the beach. PARADISE ISLAND LAST MIN SPECIAL! $500 off a night for dates through May 23rd!! 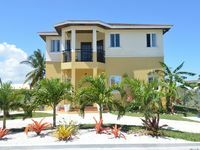 Property 25: PARADISE ISLAND LAST MIN SPECIAL! $500 off a night for dates through May 23rd!! Property 31: Aqua paradise is your home away from home. Located on the eastern side . Beachfront Private House-excellent location!! Walk to magnificent Baha Mar. Property 42: Beachfront Private House-excellent location!! Walk to magnificent Baha Mar. What can I say...... Leshanda was the perfect host! The house is beautiful and we had everything we needed to be comfortable during our stay here. My family plan on renting this house every time they visit going forward. Also Leshanda owns her own bakery so check her out!